Note: I have just updated this post (go to update at the end) as there has been a further event which I attended. I am pleased to plug an event at my local mosque. It is an open day, held at the West Road Mosque Southend, Sunday 17th September 2017, 11.30 – 3pm designed to do what is in the title i.e: meet your Muslim neighbour (MYMN SOUTHEND Open Day Flyer SEPT 2017). The theme of this year’s event is “Hajj” (Pilgrimage), which is one of the five pillars of Islam. There will be an opportunity to learn something new about Islam through the mosque visit which will host a variety of activities such as video presentations, Discover Islam exhibition and a “Hajj” display. It will also allow visitors to meet their Muslim neighbours and for us to get to know each other better and build community links. I have attended some of their previous open days, and I have always felt welcomed and it was worth it to catch up with old friends, meet new ones, and learn about what is going on at the mosque and Islam, the atmosphere is pleasant and the food is always delicious. Nearly six months ago and partly as a corrective to reflecting on news of some of the recent terrorist activity, where Muslims were implicated, I blogged about my old friend: Dr. Mohamed Pasha, MBE. Why this is significant is that Dr. Pasha was for several years the secretary of the mosque. I met him early on in my community activist career (in the early 2000’s) and he became a mentor. 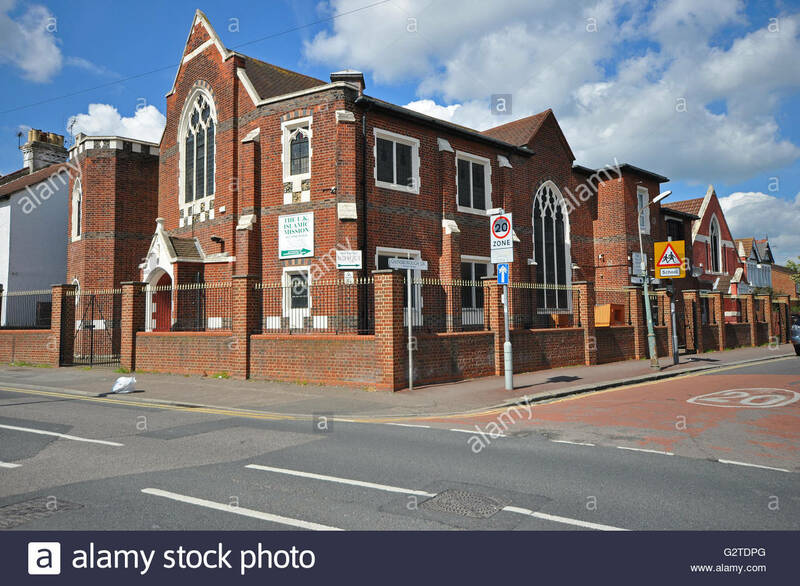 I recall visiting the mosque (which had previously been a Methodist church from around the turn of the nineteenth century) at his invitation and him giving me the “guided tour”. I recall the pride he took pointing out some of the original architectural features, which had been lovingly preserved. I visited the mosque several times thereafter and met several of its members. I recall, for example, some taking part in events I had organized, including a boy’s football competition, where they got to play a team from the local synagogue. Two activities from those early days was being co-opted onto their social committee for doing community work and sending my then 10 year old son for extra lessons to prepare him to take the 11-plus exam. Unfortunately, the event coincides with something going on at my church at the same time, but I would whole-heartedly encourage local folk, who are free, to use this opportunity to meet with some of their Muslim neighbours, and learn more about their faith, culture and activities, and enjoy the best samosa in town. I wish Imam Iftikhar Ul Haq and members of his congregation a successful day, and thank them for their kind invitation. I should explain to those who feel baffled why I, as a fundamentalist leaning Christian who believes in the Trinity and Jesus is the only way to God, and has criticized aspects pertaining to Islam and the Islamification of Western culture, can still enthusiastically promote events like this. I believe the best starting point is to make friends. identify where there is common ground (e.g. revering God and blessing the poor) and learning to understand and respect one another. One thing I have learned over my years of having been associated with this particular mosque is it includes some wonderful people (including community activist types) who I am happy to be neighbours with. Update 20/02/18: Since first posting this article there has been another MYMN event, and this time I was less rushed and could spend more time talking to people. Kudos to the folk at the mosque for putting on this event and for the kind hospitality that was showed. Once again I enjoyed meeting friends, old and new, and catching up. It was nice to see one of the cooking teams at the soup kitchen (Street Spirit) I am involved with. One disappointment (for me) though was that I would have liked to have a chance to build on the opportunity this engagement afforded and have a dialogue that builds upon the trust and friendship that is already there. Besides honest discussion about our religions, there are concerns over Islam in the culture and further afield e.g. the Palestinian question, and maybe exploring ways we can work together e.g. combating poverty and homelessness. How about it guys?